Strawberry Ice Cream looks just heavenly. Loved the way you have decorated and presented it. Still gazing at it as I am commenting. Love the ice-cream! Love the new look of the space! And the new bookmark icons also. 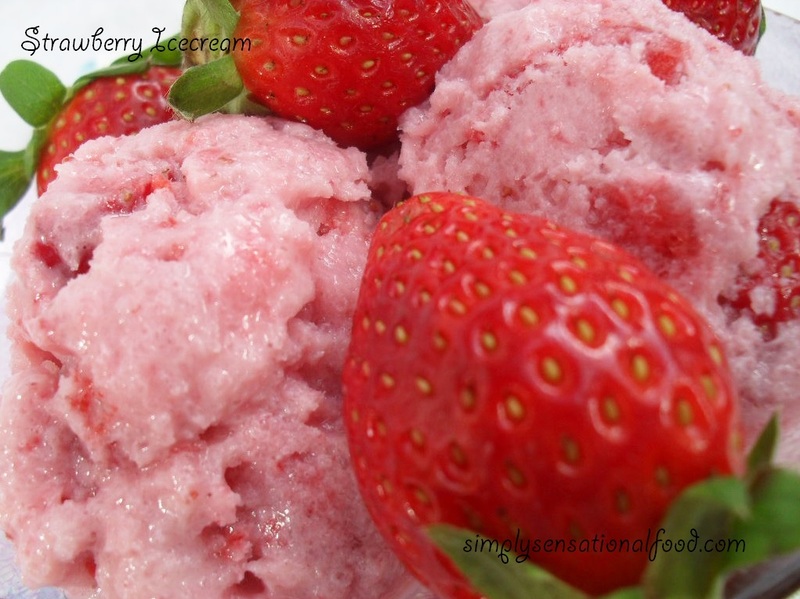 Hmm Super Starwberry ice cream.. Looks yummy, Deliciously presented ..
A must-have in summer time! Cool and delicious. Love strawberry ice cream..this looks absolutely delicious.Beautifully presented. Much Needed for this summer. Such a beautiful click, icecream looks very delicious and pleasant to eyes..
yummy !! nice colour and lovely clicks ! slurrrrrrrrrrrrp the ice cream is very tempting and mouth watering.....nice click. Nice yummy colorful ice cream. Tell me to grab a scoop. Wow! I love strawberry ice cream! I love the color! I'd gulp it off! such a yummy creamy ice cream..refreshing color..
Yummy ice cream,my fav..Can I have a bowl??? Your ice cream with the strawberries look so pretty! I like that you made the ice cream without the machine... gives me hope that I can pull it off too! Delicious fresh strawberry ice cream...Looks beautiful. Never thought of making a smoothie out of water melon...great idea! I m drooling over the pics.. bookmarked..
Congratulations for making it to the 30 best recipes of 2010. 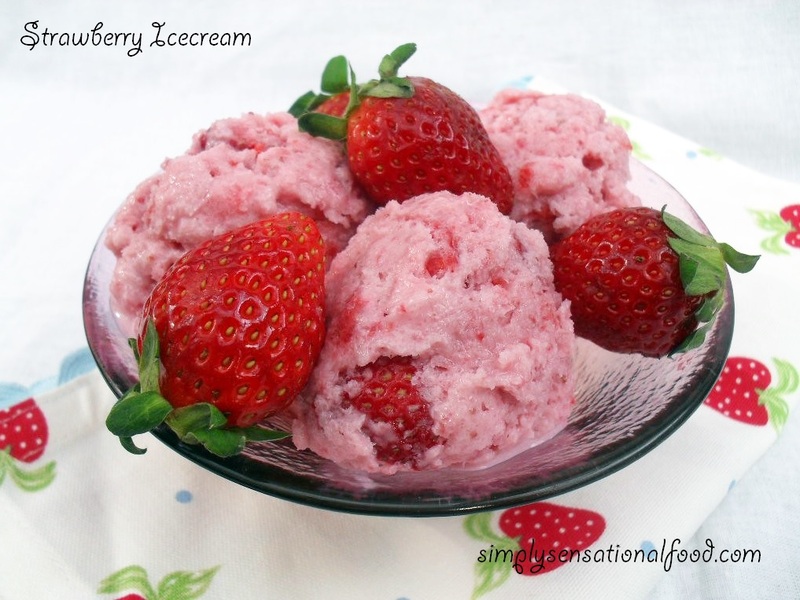 My favorite ice cream flavor is strawberry and your recipe is super easy makes everything even more better. wow this looks amazing..m your recent follower..visit my space too when free..
Next time I make strawberry icecream, I'll use your recipe. Looks wonderful. If we ever get any more hot weather this would be ideal. That looks amazing, perfect for a hot summers day. My children would love this.